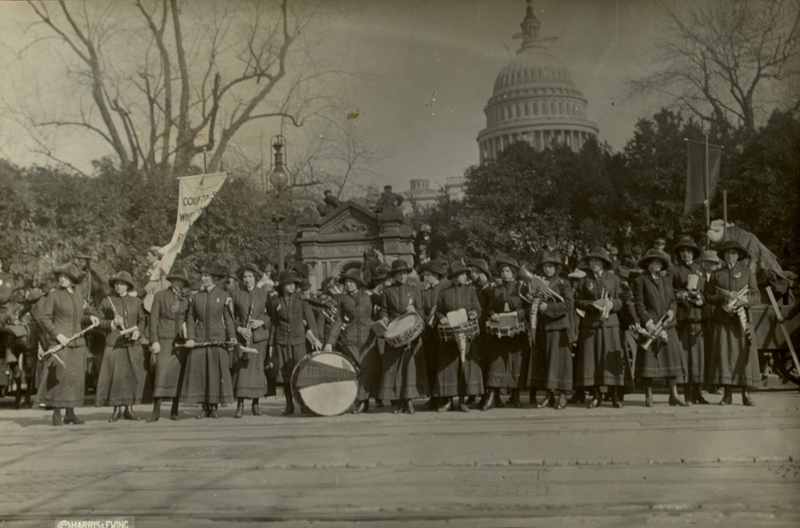 The 1913 Washington Suffrage Parade. 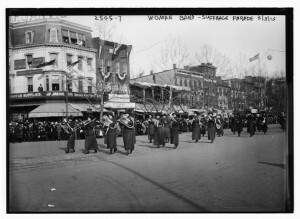 The Missouri Ladies Military Band of Maryville, Missouri, was a 35-member band that traveled more than 1,500 miles to participate in the parade. The band wore blue uniforms and impressed the onlookers with their music and their precision. The first picture is the band just before the parade began. 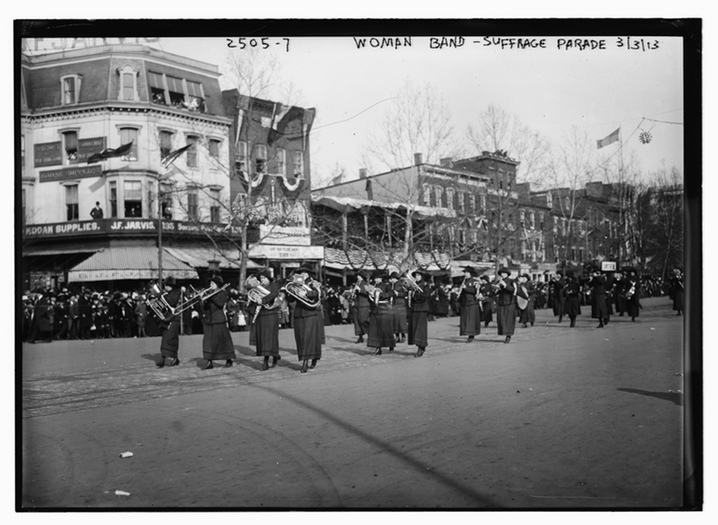 The parade was an important event in the women’s suffrage movement that culminated in 1920 with the passage of the Nineteenth Amendment. 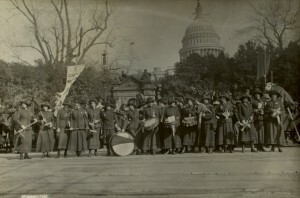 More about the parade can be found in Seeing Suffrage: The 1913 Washington Suffrage Parade, Its Pictures and Its Effect on the American Political Landscape here: http://www.jprof.com/?p=1741.